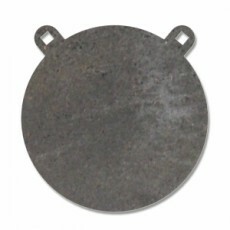 8 inch round steel targets made from 3/8 thick AR500 steel. The targets have 2 square holes cut out for 1/2 carriage bolts. this makes mounting the plates a breeze.